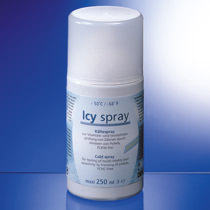 Cold spray for testing of tooth vitality and sensitivity. Optimum cooling effect due to special gas mixture. 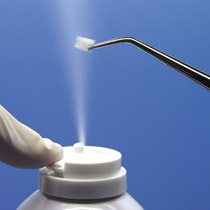 Temperatures down to – 50 °C/ – 58 °F, steady evaporation without any residue (25 % extra volume), free of FCHC.